Secondary education is a key developmental phase for children and adds to the grounding and skills that they have received during their primary education. It's a stage that broadens the scope and variety of subjects in addition to the compulsory subjects that are taught, this is the time they develop interests in other areas and begin to make choices and decisions that mark out their future. We supply staff to a range of secondary schools, specialist independent schools and private schools. 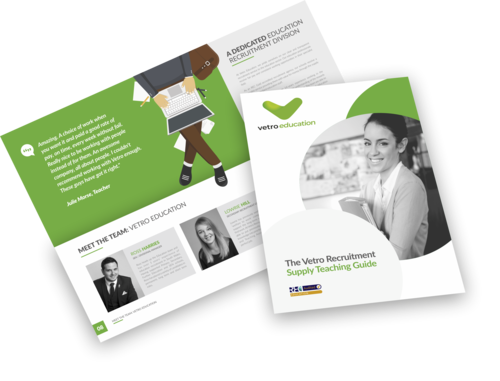 We are specialists in secondary education recruitment, providing temporary and permanent staffing solutions to secondary schools across South Wales. We are always looking for hard-working, reliable and committed Teachers and support staff to join the Vetro Secondary Education team. Follow us on Facebook, Twitter & LinkedIn for our latest Secondary School jobs, blogs & industry-specific news.